This is our third, and final, round of “mystery” interviews from the 2019 SHOT Show – it’s a mystery because you never know WHO you will run into at the amazing National Shooting Sports Foundation, NSSF​ SHOT Show​! And, in Hour #2, we have a special segment that is an excerpt from a two and a half hour long interview with Maj Toure, Kevin Dixie, Ken Scott and Aaargo Jay who are all Zeroing In on the "Unity Project" and some very important issues that impact each and every one of us. 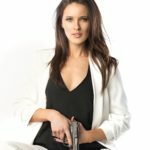 Hour #1 Guests: Emily Valentine - the founder of Style Me Tactical, a concealed carry lifestyle blog, and host of the Not Your Average Gun Girls podcast. Amy Robbins - the Founder and CEO of Alexo Athletica and Co-Host of Not Your Average Gun Girls Podcast. Shawn Herrin - the President of the Firearms Radio Network, firearms and medical instructor and hosts two of the network’s flagship shows; We Like Shooting and This Week in Guns. Kat Ainsworth - a freelance outdoor writer and also Hunting Editor at The Truth About Guns. Kat writes for a variety of publications both print and web on tactical, political, and hunting topics. 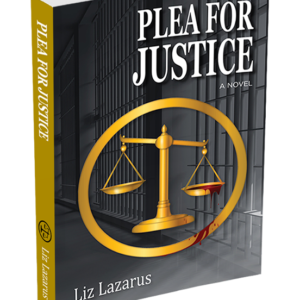 Liz Lazarus - the author of Free of Malice and the newly released Plea for Justice. Amy Robbins is the Founder and CEO of Alexo Athletica and Co-Host of Not Your Average Gun Girls Podcast. While hosting NRATV’s NOIR and GunTV, our founder and CEO Amy Robbins’ passion for firearms grew along with her desire to see women everywhere live a confident, self-reliant lifestyle. An avid runner, Amy wanted the ability to train for a marathon wherever she wanted to, even in the wee hours, without fearing for her safety, so she obtained her License to Carry. However, she quickly realized that the license to carry did her little good when she didn’t have comfortable, functional (much less great-looking) apparel which would allow her to exercise while also exercising her right to carry and still look and feel great. Amy created Alexo Athletica because no product existed on the market that would meet her need to feel fashionable while carrying in active wear. She saw a white space in the market and jumped on the opportunity to not only provide fashionable, functional carry wear but create a movement of empowered, independent women who could #carrywithconfidence. Emily Valentine is the founder of Style Me Tactical, a concealed carry lifestyle blog, and host of the Not Your Average Gun Girls podcast. Emily created Style Me Tactical because she saw the need for a necessary mindset and lifestyle shift in how women see self-protection. Style Me Tactical is the first of its kind. It is more than just a lifestyle blog. It is a resource and a community founded on the principle that women shouldn’t have to sacrifice their personal style to be self-reliant. Emily believes that you don’t have to sacrifice your style in order to be self-reliant. 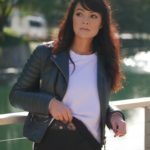 With Style Me Tactical, she has created a community for women to become inspired, informed, and encouraged to live a lifestyle where being prepared and having the ability to defend oneself can coexist with a woman’s desire to be fashionable. Emily is also featured on season five of NRATV’s Love At First Shot. Kat Ainsworth is a freelance outdoor writer and also Hunting Editor at The Truth About Guns. Kat writes for a variety of publications both print and web on tactical, political, and hunting topics. In addition to being a seasoned hunter and long-time concealed carrier, Kat is an ardent Second Amendment rights advocate. Her first book on handgun hunting will be printing this coming winter with Skyhorse Publishing. Liz Lazarus is the author of Free of Malice and Plea for Justice. Liz has a third book soon to be published. 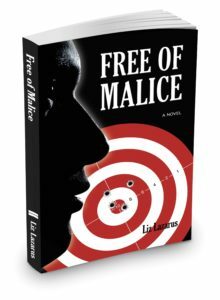 Free of Malice is a psychological, legal thriller loosely based on her personal experience and a series of ‘what if’ questions that trace the after effects of a foiled attack; a woman healing and grappling with the legal system to acknowledge her right to self-defense. Plea for Justice is a psychological thriller that depicts the journey of a paralegal striving to reveal the truth about her estranged friend’s incarceration, and leading her on a parallel path of self-discovery. Liz was born in Valdosta, Georgia, graduated from Georgia Tech with an engineering degree and the Kellogg School of Management at Northwestern with an MBA in their executive master’s program. She spent most of her career at General Electric’s Healthcare division and is currently a Managing Director at a strategic planning consulting firm in addition to being an author. Shawn Herrin is the President of the Firearms Radio Network, firearms and medical instructor and hosts two of the network’s flagship shows; We Like Shooting and This Week in Guns. 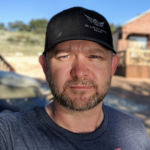 Shawn has been an outspoken advocate in the firearms industry, leading the way in social media and new applications of technology for the advancement of a positive message for our industry. Aaargo Jay describes himself as just an American who likes guns and the culture surrounding them who is a trusted source of new gun/accessories reviews and other videos. 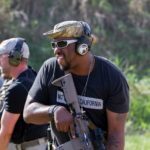 Aaargo has written a documentary titled, Black-Ops: Black Opinion in Popular Society: Changing the Image of African Americans and Firearms One Round at a Time. 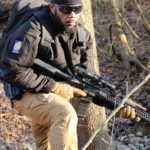 Kevin Dixie is the owner-operator of No Other Choice Firearms Training (NOC) and the Founder of Aiming For The Truth, a 6-spoked approach to healing broken families and strengthening the community bonds of neighbors, to improve the lives of people in the cities and states of our nation. This program is focused on getting to the roots of the factors that are driving violence in our communities. A mission of solving real issues and avoiding the blaming of tools to avoid dealing with the complexities that exist. Kevin has developed and designed the first firearm that fights the lies of Gun Control, an H&K PV9 platform handgun titled “The Truth”. Kevin has been featured on NRATV, America First Magazine, Time Magazine, Gun Freedom Radio, Firearms Network, Tom Woods Show, and dozens of podcasts. Kevin has taken “Aiming for the Truth” to several American cities and looks to eventually tour and speak full time. From Kevin: “I have spent the majority of my adult life in Saint Louis, MO or surrounding areas; although I grew up on the city’s North side. My upbringing was, unfortunately, the typical story that is told far too much: raised in an impoverished neighborhood, single mother, absent Father, and over-exposure to criminal elements and subsequent violence. I navigated through my environment and decided to make a choice to be productive and contrary to my immediate atmosphere. I joined the Saint Louis Police Department at the age of 21 as a Prisoner Processor and was “properly” introduced to firearms. I decided to take my love for firearms and people and combine them, thus was born NOC Firearms Training. – Hold an undergrad and graduate degree. 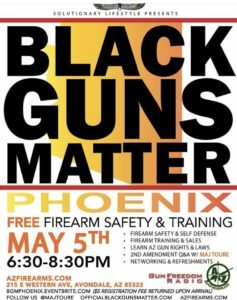 Maj Toure is the Founder of Black Guns Matter (BGM), which is a group to help urban communities learn their gun rights and responsibilities. Each BGM event includes demonstrations and discussions with experts including certified firearms instructors, lawyers, and Second Amendment activists. Throughout the nationwide BGM class, Toure, a Philly Hip Hop artist turned activist/Solutionary, sounds the alarm on politicians who espouse that urbanites should trust government to keep them safe, while, simultaneously, politicians have failed to do just that. Maj has developed a “Solutionary” AR Platform Rifle. To date, BGM has reached 17 urban communities from coast to coast including Philadelphia, Compton, Chicago, Detroit, Baltimore, and Atlanta. BGM Tour is funded by donors from across the country via a GoFundMe campaign. Maj is a Solutionary Hip Hop artist and activist from North Philly. 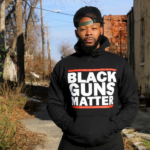 His following began after he was featured on the cover of the Philadelphia Weekly as “the Prophet of Philadelphia.” He founded the Black Guns Matter movement in 2015 and advocates for 2nd amendment education and information for urban communities. 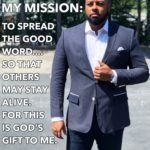 Maj has been featured in the New York Times, Breitbart News, National Public Radio, and NRANews for his out of the box approach to 2nd amendment advocacy. Click here to get your tickets! This will be a standing room only event! This is our third, and final, round of “mystery” interviews from the 2019 SHOT Show – it’s a mystery because you never know WHO you will run into at the amazing National Shooting Sports Foundation, NSSF​ SHOT Show​! And, in Hour #2, we have a special segment that is an excerpt from a two and a half hour long interview with Maj Toure, Kevin Dixie, Ken Scott and Aaargo Jay who are all Zeroing In on the “Unity Project” and some very important issues that impact each and every one of us. 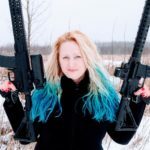 Emily Valentine – the founder of Style Me Tactical, a concealed carry lifestyle blog, and host of the Not Your Average Gun Girls podcast. Amy Robbins – the Founder and CEO of Alexo Athletica and Co-Host of Not Your Average Gun Girls Podcast. Shawn Herrin – the President of the Firearms Radio Network, firearms and medical instructor and hosts two of the network’s flagship shows; We Like Shooting and This Week in Guns. Kat Ainsworth – a freelance outdoor writer and also Hunting Editor at The Truth About Guns. Kat writes for a variety of publications both print and web on tactical, political, and hunting topics. 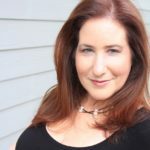 Liz Lazarus – the author of Free of Malice and the newly released Plea for Justice. 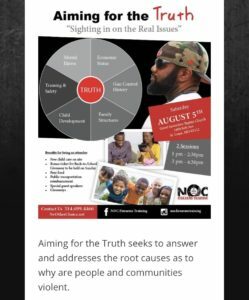 Kevin Dixie – the owner-operator of No Other Choice Firearms Training (NOC) and the Founder of Aiming For The Truth, a 6-spoked approach to healing broken families and strengthening the community bonds of neighbors, to improve the lives of people in the cities and states of our nation. Kevin has developed and designed the first firearm that fights the lies of Gun Control, an H&K PV9 platform handgun titled “The Truth”. 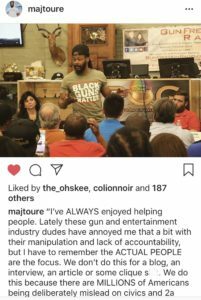 Maj Toure – the Founder of Black Guns Matter (BGM), which is a group to help urban communities learn their gun rights and responsibilities. Maj has developed a “Solutionary” AR Platform Rifle. Aaargo Jay describes himself as just an American who likes guns and the culture surrounding them who is a trusted source of new gun/accessories reviews and other videos. 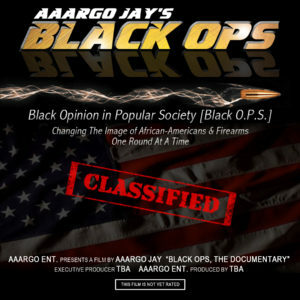 Aaargo has written a documentary titled, Black-Ops: Black Opinion in Popular Society: Changing the Image of African Americans and Firearms One Round at a Time. Ken Scott – the Owner and Founder of Provectus Group, LLC. Provectus Group is a multi-disciplined defense firm specializing in consulting and training for Law Enforcement, Military, Corporate and Civilian entities. Ken’s career started as a contractor and then transitioned into Law Enforcement. Ken has developed “The Elite” Handgun Series. Share the post "GunFreedomRadio EP149 Zeroing In, Originally Aired 2.16.18"